Ten years after the release of Star Wars: Battlefront II, EA and DICE have brought us back into the world of Storm Troopers, Jedi, TIE-Fighters and Imperial Walkers with the rebooted Star Wars: Battlefront. 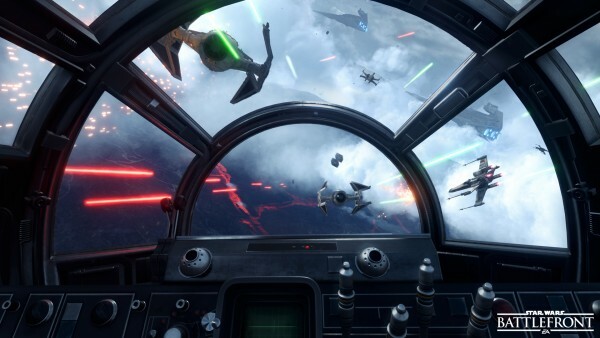 The multiplayer-centric title has the look and feel of the Star Wars universe, all perfectly bundled up. This title is definitely the epitome of “Style over substance,” as many of the nuanced mechanics that define FPS games have been stripped away for a more accommodating game. While it has its fair share of flaws, Star Wars Battlefront is one of the more enjoyable FPS experiences I have had in some time. 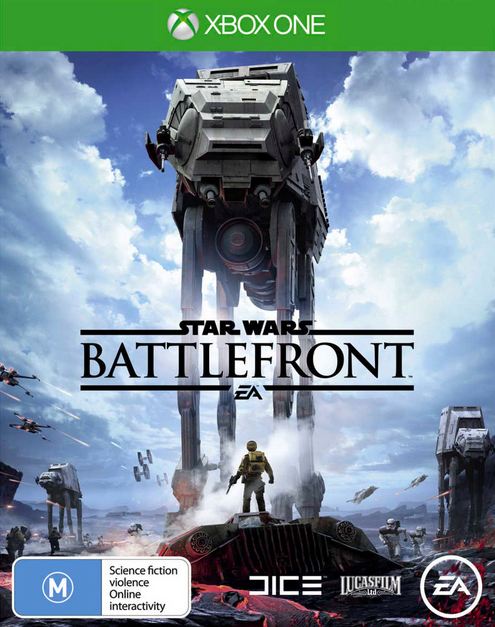 Star Wars Battlefront foegoes the traditional story-based campaign in favour of its multiplayer aspect. Normally if there is no campaign or story-mode we will cut out this section of the review, but I wanted to take a second and discuss it because I feel that the lack of single-player (or even co-op) campaign has really held this game back. While there are still plenty of “Missions,” these don’t form a cohesive story and are more of a way to give players the ability to play offline. The focus on multiplayer isn’t exactly a surprise; games like Titanfall, Black Ops III and even Need for Speed: Rivals were centered around their online multiplayer but managed to integrate a narrative campaign into it (Need for Speed less so), but Battlefront has opted to forgo this and instead is a game that is purely about the multiplayer skirmishes. This results in a game that feels like it is missing a key part, a soul if you will. I want to be able to sit down and play through an epic Star Wars saga with my buddies instead of just having to go into battle against hordes of enemies with them. 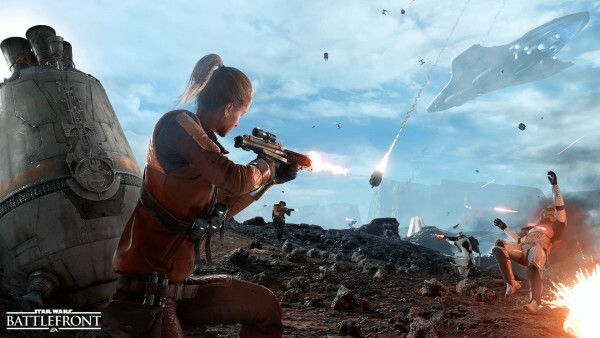 Star Wars: Battlefront is an FPS through and through. I’ve said before that I’m not the biggest FPS guy. This is normally because there is such a wide divide between the friendly players and the serious ones, which normally leaves people like me in the dust. Let’s be real; winning is fun, and getting killed 15 times in a row isn’t. Well much to the chagrin of others I have discussed with, Battlefront seems to forego the more complex mechanics that you usually see in the genre in favor of a more free and accessible approach. Now, don’t get me wrong there is still a bit of a learning curve present in the game but it pales in comparison to the likes of Titanfall or the Call of Duty franchise. 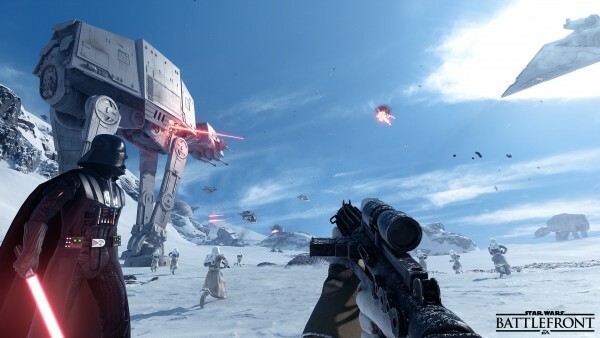 The lack of depth may come back to haunt Battlefront though if players get bored in a few months and put the games down forever, but I am betting that the opposite happens and even if there are no dedicated esports events run around the game, that it will continue to prosper purely on the fact that players can hop into the game for the first time and still have a better than decent chance of getting a few kills in. 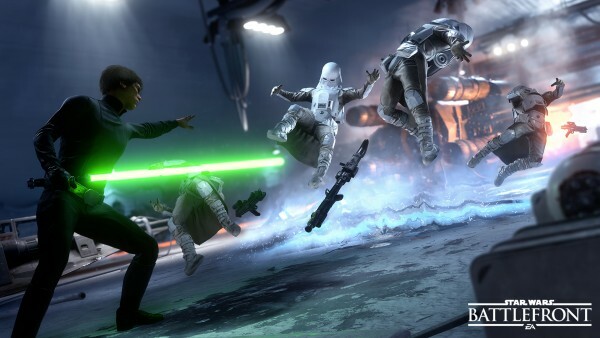 Battlefront offers possibly the most diverse range of multiplayer modes that I have seen in a game in a long time. With nine distinct modes, each that completely change the way you play the game – there is a tonne of content available for those looking for it. Going from a 7 vs 1 “Hero Hunt” mode, to an epic 20 v 20 full-scale battle almost feels like you are playing a completely different game and I absolutely love that. Since this is a Star Wars game, vehicles are an incredibly important part of the action. As you might expect, the type of vehicle you can pilot is determined by your faction, the planet you are playing on, and whether you can get to one or not. Hoth Snow Speeders, X-Wing Fighters and TIE-Fighters are just some of the vehicles you will be able to jump into and fly around in. The flight controls are all really smooth and responsive, although I did have to tweak a few settings to get them juuuust right for how I like to play, but once I did I wouldn’t have hoped for a more fun experience in the air. The game (currently) features 12 playable maps and while these all feel awesome to fight on (or fly through, lets be real – that’s what we all wanted to do anyway) I could have done with a few more. As time goes on will will be getting more maps and planets to explore so hopefully these will satisfy my hunger for more. Star Wars is undeniably one of the biggest cultural icons of the modern era and every piece of media that is released under its banner; be it movies, cartoons, books or video games represents this world-beloved franchise, and that means some things are sacrosanct when it comes to the Star Wars brand. One of the most important things that makes Star Wars what it is, is the presentation – to fans young and old the look, the feel, the sound it all has to be just right or things start to fall apart at the seams. While it is very easy to screw up this aspect, especially when creating a video game, Star Wars Battlefront while not perfect, is undeniably impressive and the developers really should be commended for the care and love they have put into their game. Visually, Battlefront manages to perfectly capture the look and feel of the Star Wars universe. From the massive, sweeping maps that look like they are the film sets themselves, to the suits of the Storm Troopers or the intricate detailing on the X-Wing fighters; everything looks fantastic and while this may sound cheesy – really makes you feel like you are in the middle of a Star Wars film. Beyond that, the high level of detail in the characters and the worlds themselves makes Battlefront not only the best looking Star Wars game around, but one of the best looking games period. While the look of the game is something to write home about, the audio is a little more lacking. While there are some iconic sound effects present, like those of a blaster rifle being fired or the unique sound a TIE-Fighter makes as it whirls past, there are some audio choices that feel a bit hollow and lacking. The best example of this is the voice of Darth Vader. 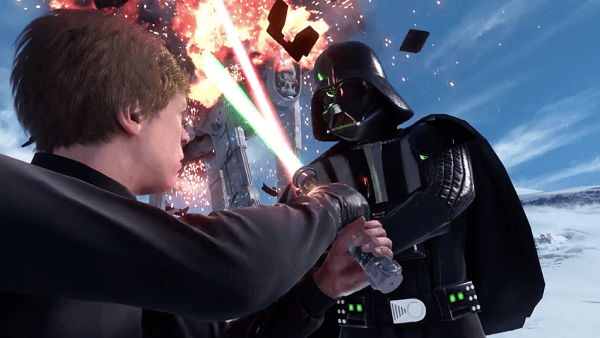 While Vader’s voice actor, Matt Sloane has played the character several times (including this year’s Disney Infinity 3.0) his performance here just feels shallow. The same can be said for other characters like Princess Leia and Luke Skywalker. It creates this weird disconnect when those characters sound… unusual while others like C-3PO, Yoda and Palpatine sound far more authentic and true to the rest of the Star Wars media. 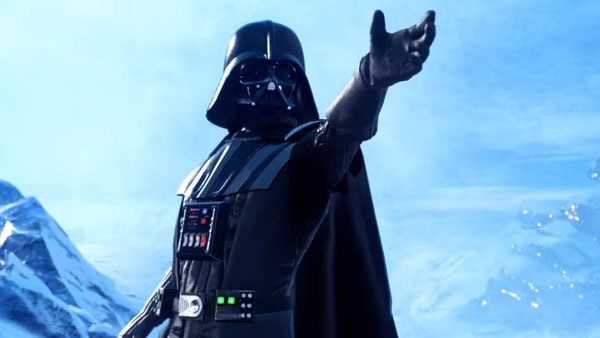 There is no arguing that Battlefront ops for “style over substance,” stripping back some of the more complex and nuanced mechanics that you usually see in the FPS genre in favor of creating an almost cinematic Star Wars experience is likely to create a bit of a divide between the casual shooter players and those looking for a game to play competitively. Many multiplayer games are kept alive by their online communities and I’m not sure if the lack of depth will cause fans to get tired and jump ship in a few months, or whether the inverse will happen and this will become one of those games that you can log into 12 months from now and still find a match within seconds. I’m far from a competitive FPS gamer, so in the end the most important factor to me was whether or not I had fun with the game, and I have to be honest – I’m having a tonne. The wide variety of game modes is keeping me interested and the fact that I don’t immediately die as soon as I start playing is awesome. Not only that, but it is clear to see the painstaking efforts that DICE have gone through to make this feel like a Star Wars game, and it has absolutely paid off. If only a well-crafted campaign had been added as well, then this would be an absolute must-buy game, but without it we have an epic, enjoyable albeit imperfect shooter.